All of the outdoor adventures in the day camp program plus YMCA swimming lessons! Each day campers will have a 40-minute YMCA progressive swimming lesson with certified swim instructors at the Hudson YMCA. Campers will also have time to play water games and swim at the Hudson YMCA. The remainder of the day will be spent enjoying traditional camp activities. The hottest way for kids to cool off this summer! 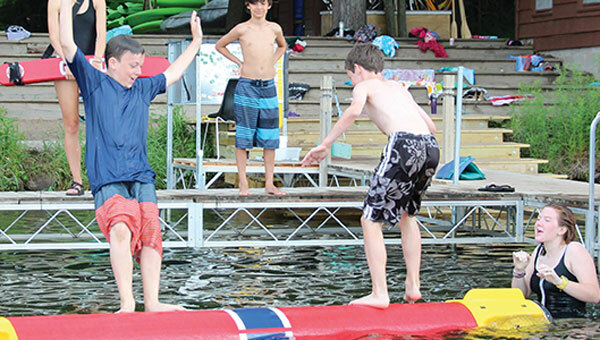 Campers spend the full week enjoying an awesome array of water activities including canoeing, kayaking, swimming, pontoon ride and other water activities. The highlight of the week will be a field trip to a water park. Campers learn paddling skills and canoe/kayak safety as they experience the challenge of navigating water! Kids learn to identify the parts of the canoe/kayak, paddling techniques and the importance of teamwork. Kids learn about the life of a lumberjack and their importance in building our first cities. Campers discover how the sport of log rolling or “birling” developed out of maneuvering logs down rivers to the old saw mills. Skills learned are great for improving balance and coordination! Log rolling instruction will take place at our camp beach with a trained instructor. Sailing is a life-long sport teaching teamwork and an appreciation for the outdoors. Each day young sailors learn the basics of sailing and safety with camp instructors. 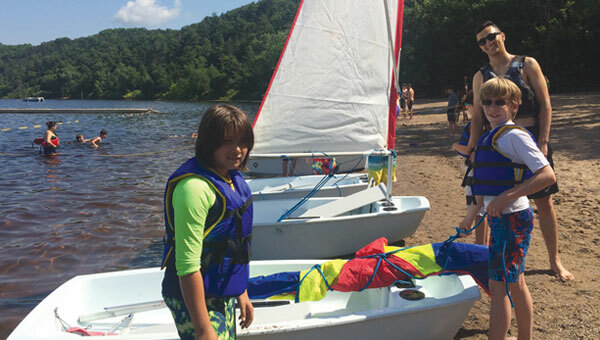 Campers will be taught techniques and terminology for operating our fleet of sailboats as they practice their skills on Lake St. Croix.